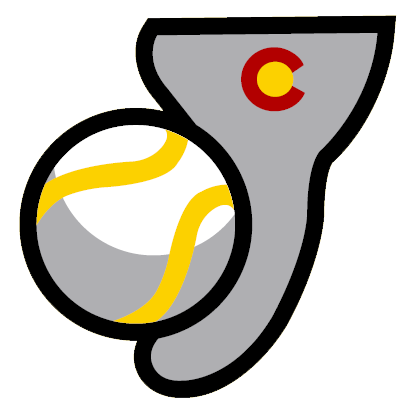 TRINIDAD, Colo. � For the second day in a row, Trinidad came out on top of a close game vs. Taos, topping the Blizzard 11-6 in a game Trinidad manager J.D. Droddy sounded quite happy about. Taos went up first, scoring on two Trigger errors � errors were one thing neither side was short of Saturday � but Trinidad came back with two runs in the bottom of the stanza, taking advantage of two hit batters by Taos starter Elliot VanCoaver, a walk and a wild pitch. Trinidad also saw right fielder Frank Florio injured on the opening play of the game when he went down on an unusually wet patch of grass. He was taken out of the game and his condition is unknown at this time. Both starting pitchers kept the second scoreless, but Trigger Anthony Smith saw another three errors in the third, which led to four Taos runs. Khyle Dinimio and Chris Constantino doubled and Calvin Culver and Cody Coffman singled, but all four runs were unearned. That put Taos up 5-2, but while they would only score one more run, the Triggers kept chipping away. They closed the gap to 5-4 in the fourth on one hit and two errors. The Blizzard added their last run in the top of the fifth on an error and a passed ball, but the Trinidad tied it at 6-6 in the fifth when Jacob Fabry was hit and stole second, Nolan singled and stole second and both scored on a Will Leonard single. The Triggers added another two runs off reliever Steve Sanguliano in the sixth when, with two outs and a runner on second, Fabry walked and Sam DiMatteo hit a 2 RBI single. They put a final three runs on the board in the seventh. None of the Taos runs were earned, which gave Droddy reason to be happy with his pitching staff, including relievers Lee Hall, Levin Austin and Scott Elitzky, who just joined Trinidad after being traded from Roswell. They�ll try to get that next win over the Blizzard Sunday in a game set for 2:05 p.m. in Central Park.